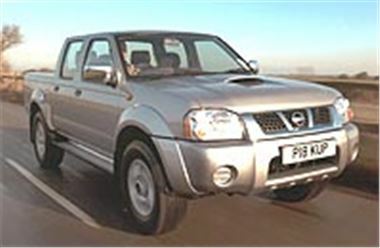 Hot on the heels of Mitsubishi, Nissan has upped the power of its 2.5Di 4x4 pick-ups to 133PS, making them the most powerful 4x4 diesel pick-ups in the UK. 133PS is developed at 3,600rpm and 304Nm (224lb ft) torque is developed at 2,000rpm. As well as being useful for caravan and trailer towing this has raised the maximum braked trailer weight to 3,000kg. Performance, fuel consumption and CO2 figures aren’t given, but prices start at £12,600 + VAT for the basic single cab 4x4 pick-up, rising through £12,850 + VAT for the King Cab and £14,450 + VAT for the Double Cab to £16,100 + VAT for the Navara Double Cab in the photo. This comes complete with 16" four spoke alloys, chrome side steps, choice of Shiraz metallic red or Blade Silver paint, four speaker CD radio, ABS and air-conditioning.